Home » Ask The Experts » Can Credit Counseling Help with Collections? Can Credit Counseling Help with Collections? Including charged-off accounts in a debt management program. 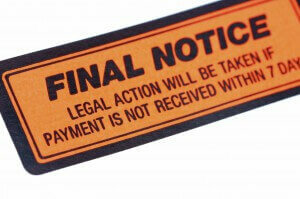 Debts in collections absolutely can be included on a debt management program. If it’s with the original creditor, even if it’s not with the original creditor, in a lot of cases we’re able to get the original creditor to accept the payments back again. Any card that’s closed and you’re still carrying a balance – any payments that you make directly to the creditor will be applied 100% to the balance. The only thing that may vary by account is whether there’s still late fees or interest being applied. Most of the benefits from a debt management program come before accounts get charged off – basically before an account gets closed is when we can have the biggest effect on saving you money and helping you get out of debt sooner. Once an account’s closed, it’s charged off – the bank has already written it off, but you still owe them the money, it still shows up on your credit report, and you’re still obligated to make payments. If it’s sold to a collection agency and now someone else owns it, we can still attempt to help you with them, although it’s not a credit card company and it may be a collection agency that we don’t have a relationship with, it’s included in our service for us to reach out to them and try to work out a payment plan for our clients. The major benefits of the program really come when you’re working with the credit card companies because they have an interest in seeing you rehabilitated, educated, and they want you back as a customer. BONUS QUESTION: Credit counseling agencies, in general, do not help with removing things that are accurate from a credit report. And, in fact, if you did owe the money and you were behind on it, and even if you make an agreement to pay it, the credit card companies are obligated to report – not why – but if something happened. Keep in mind that your creditors have to agree to your enrollment in a debt management program and the monthly payment schedule you develop with your credit counselor – even if those accounts are still current. If a creditor won’t sign off on the inclusion of that particular debt in the program, then you can still enroll but that debt would be left off. You could still enroll with your other debts, but you’d have to work out other arrangements for that specific account if the creditor doesn’t agree to the terms of your program.By and large, most of the major credit card issuers and banks have standing relationships with BBB-accredited national credit counseling agencies like Consolidated Credit. So for the most part, plans are negotiated and approved because it’s in the best interest of everyone (including your creditors) to see you get back on the right financial path. However, this isn’t necessarily true with third-party collectors – primarily because your credit counseling agency may not have a standing relationship with that company. So negotiations may not work out every time if the collector prefers to pursue repayment directly or through other means. Two of the main benefits of a debt management program are interest rate reduction and stoppage of new penalties and fees. Essentially when you enroll in the program your credit counselor negotiates lower interest rates with your creditors. In addition, future penalties and fees are eliminated because you and the creditor are agreeing to a plan to repay the debt.